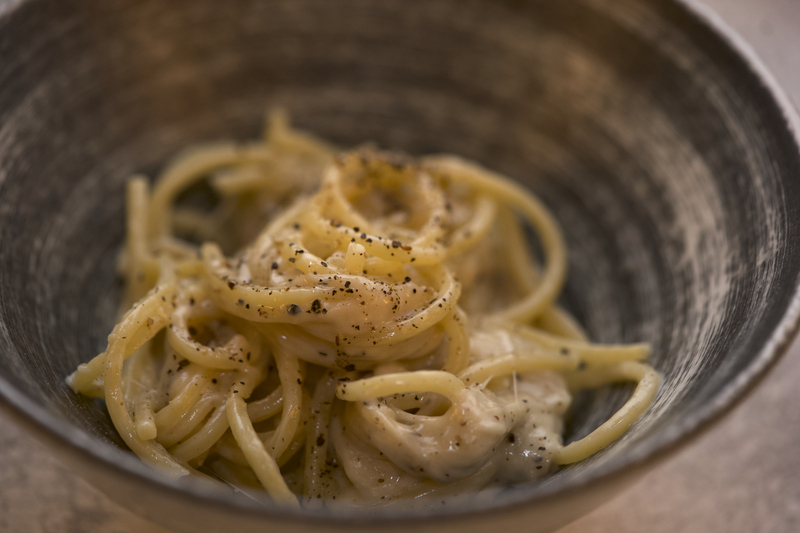 Cellar Visit: Dal Forno: Worth the hype? 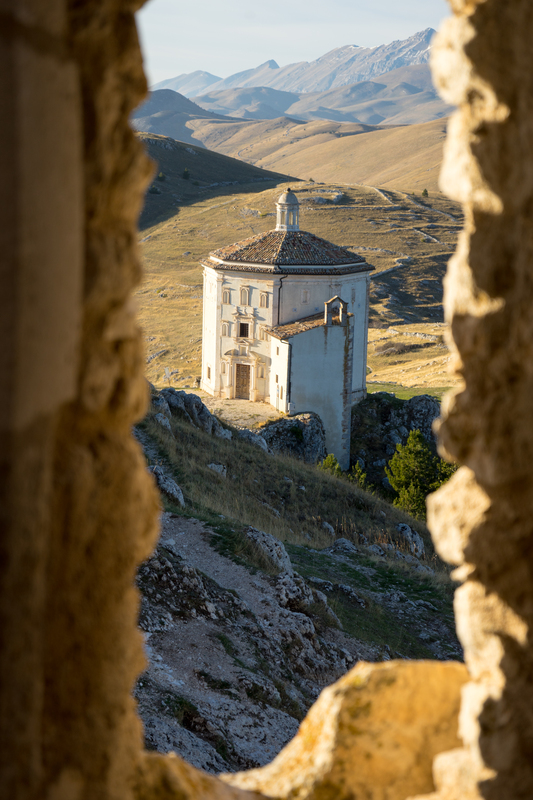 We visited Romano dal Forno in Valpolicella to discover the genius behind one of the world’s best Amarone only to discover an even better wine. From our visit we concluded that a true Amarone artisan needs ingenuity, perseverance, dedication, conviction and passion…with a touch of insanity. 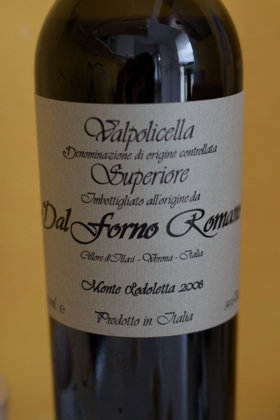 Romano dal Forno started making wine in 1983 and trained under Giuseppe Quintarelli, the godfather of Amarone. We were given a tour by his son, Michele, of the winery built in 1990 (but in the style of a 19th century manor house). Normally with a cellar visit, we tend to glaze over by the time we get to the tanks. Every moment of this tour was an eye opener. The winery is a labour of love in pursuit of the perfect wine. Dal Forno has 26 hectares of the densest vines I have ever seen. They are also in the wrong location. 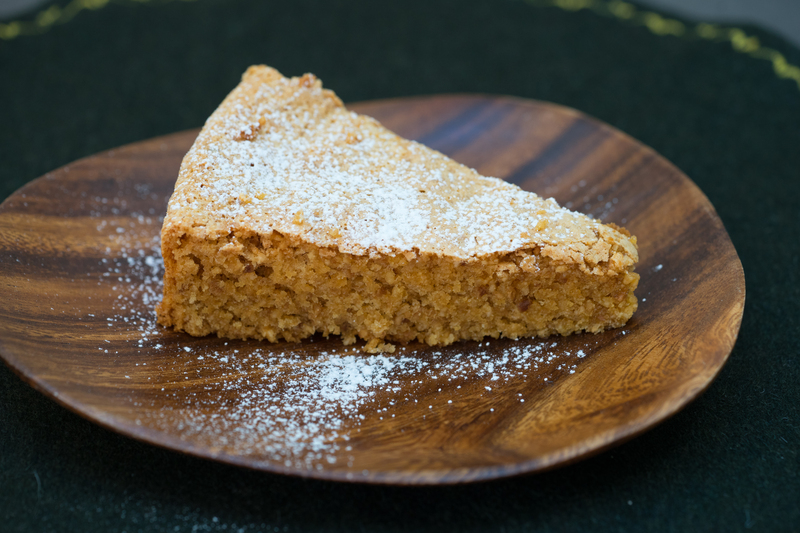 At least that is what everyone believed until Dal Forno turned what was cropland for corn into liquid gold. 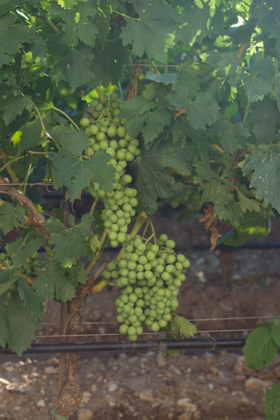 There are 13,000 plants per hectare but a very low production per vine. It takes 6 to 7 vines to make one bottle of Valpolicella and 10 vines to make one bottle of Amarone. The oldest vines are reserved to make Amarone. Dal Forno is noted for taking the decision in 1991 to eliminate the molinara grape from the cuvee and replace it with the oseleta grape. 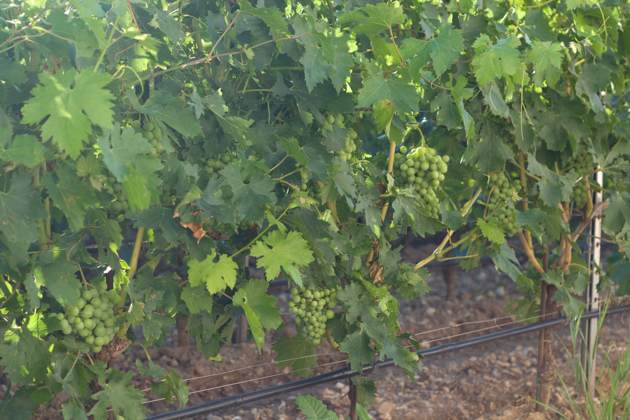 The grapes are hand harvested by 40 pickers using small scissors who manicure the bunches as they pick to eliminate any imperfections. The harvest can take up to 2 months. Upstairs in the winery is a large room the size of a ballroom. Lining the wall with windows looking out onto the vineyard is a row of evenly spaced fans. 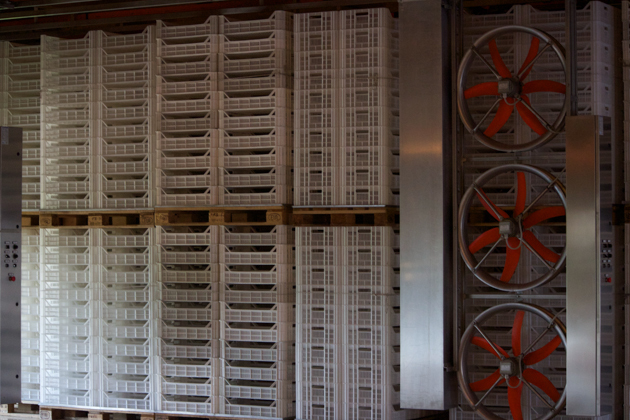 The grapes are stacked on perforated plastic trays in rows and the fans slide back and forth between the rows to dry the grapes. 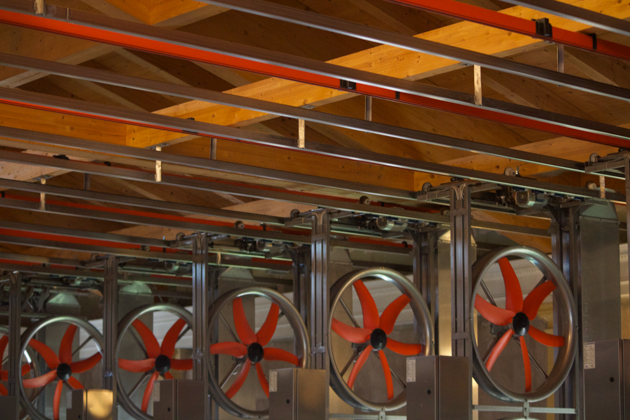 The fans reverse their flow every 15 minutes to ensure there are no pockets of stagnant air. The windows are computer controlled and close at a hint of rain. The Valpolicella is dried for 1.5 months and the Amarone for 3 months. The dried grapes are then checked again for any sign of mould or botrytis. 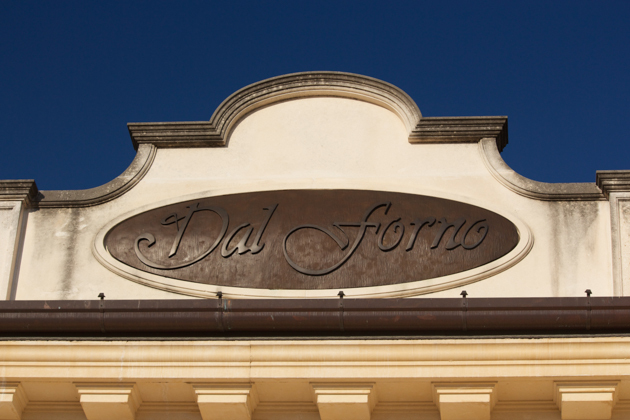 While some claim that botrytis is beneficial to Amarone, Dal Forno does not share this view. Instead they believe that Valpolicella does not have the right conditions for its wine to benefit from botrytis. Dal Forno believes that the introduction of bacteria is a matter of hygiene and that the wine ultimate loses its freshness and fruit. For this reason they go through the painstaking process of manicuring the now dried bunches of grapes a second time. The grapes are then pressed and sit on the skins for 15 days. This is the last time they will be in contact with the air (and only to allow the yeast to develop) before you open the bottle yourself. For this reason Dal Forno suggests their wines be opened at least 2 hours before drinking. 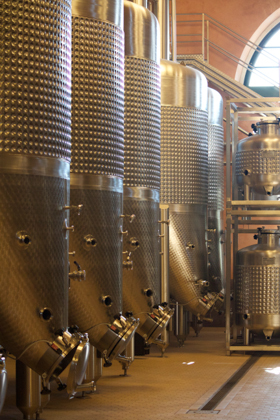 Romano Dal Forno had the idea to create steel tanks under a vacuum so that the wine would never touch the air to ensure the wine’s freshness. 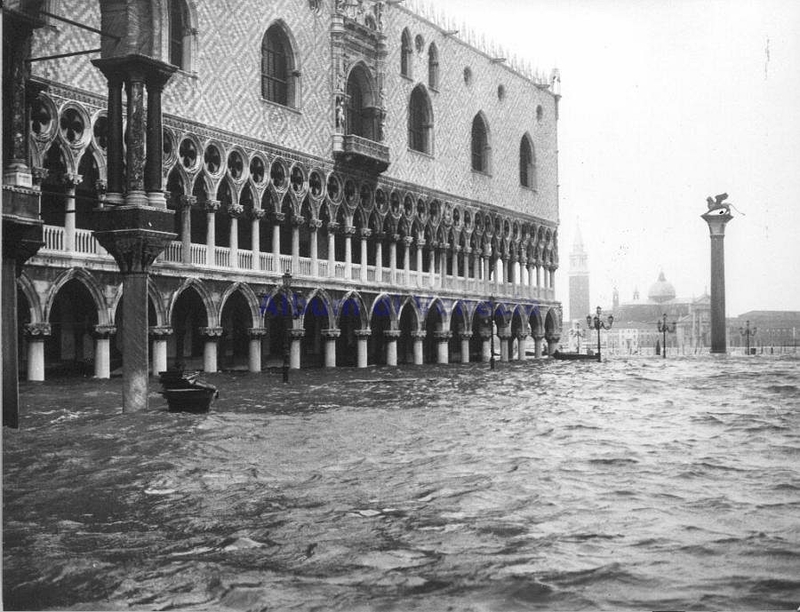 So he commissioned local experts mainly from Veneto to realise his dream. 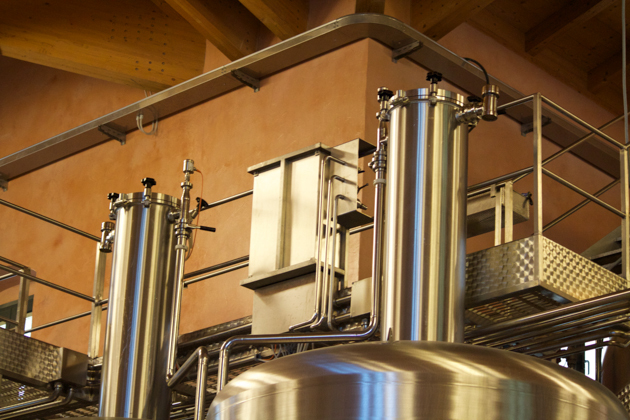 The wine would be transferred between tanks using suction with nitrogen displacing the wine so the wine would be moved gently without the need for pumps. 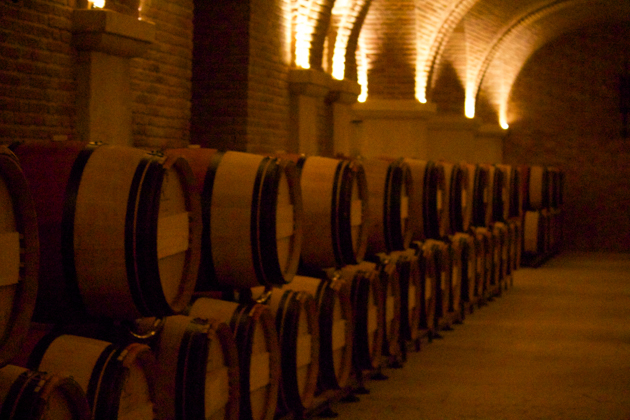 Each vintage of wine is placed in brand new French oak barrels (read expensive) for ageing for 3 years. The barrels have nitrogen in them to keep them from the oxygen. The wine is bottled without ever exposing the wine to oxygen. Nitrogen is used instead. 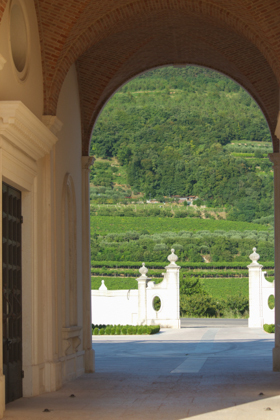 60,000 bottles are produced per year of which 40,000 are Valpolicella and 20,000 are Amarone. 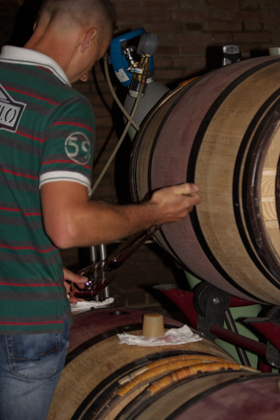 We did a cask tasting of the 2012 Valpolicella and Amarone. The Valpolicella had all the right elements in harmony to develop into a great wine. The Amarone was a bit muted still but we are waiting with eager anticipation for when it will be ready. Both of these wines were eclipsed by the final wine. 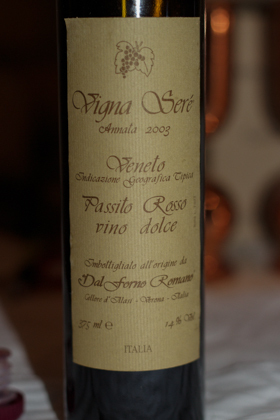 For our final tasting, we tasted the nothing less than amazing recioto Veneto Vigne Sere 2003. It puts port to shame. 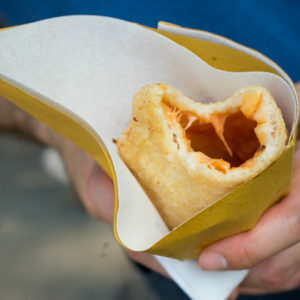 The recioto was fresh yet sweet but not in the least sickly. Be warned it has deposit so needs to be decanted. The sweet Veneto Vigne Sere passito wine is only made in years with an outstanding vintage when the conditions are perfect. This has happened only 6 times in the past 30 years. In 2004 12,000 half bottles were produced. In 2003, 8,000 bottles were produced. 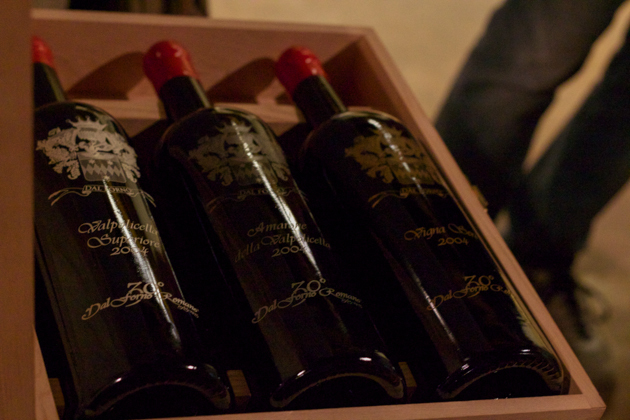 They also showed us their special limited edition of 300 wooden gift boxes containing 3 magnums: one of each type of wine from 2004, one of their best vintages. Each box costs a small fortune but contains a labour of love. I guess you can put a price on perfection. As if the amazing wines and fascinating cellar tour were not enough to win us over, the family is just lovely. While our sons played with their grandchildren outside near the family vegetable garden where I spied perfect cantaloupes growing, we chatted like old friends inside. Dal Forno has raised the bar for cellar visits in every way possible it seems. This is the best Valpolicella I have tasted and is one of my favourite wines. It was love at first sip. Made from the younger vines out of 70% corvine and corvinone, 20% rondinella, 5% croatina and 5% oseleta grapes, which are dried for 1.5 months before pressing. They age in new barriques for 3 years and then in bottle for 2 years before being released. Open the bottle at least 2 hours before serving. Well-known as one of the best Amarones made, it has flavours of black cherries, chocolate, tobacco and leather. Made from the older vines (minimum 10 years) out of 60% corvina, 20% rondinella, 10% croatina and 10% oseleta grapes which are dried for 3 months before pressing. They age in new barriques for 3 years and then in bottle for 2 years before being released. Open the bottle at least 2 hours before serving. This is one of my favourite wines….and I don’t like sweet wine. A sweet passito red wine made only in years when the vintage is suitable. It has flavours of black cherry, chocolate and coffee. It is well balanced, the sugars, tannins and acidity in harmony. Try this wine. Open the bottle at least 2 hours before serving at 12°C.